As the service moves toward the boot’s Oct. 1, 2016 adoption date, Marine Corps officials set out to dispel any confusion as to which specific boots Marines can wear in uniform. 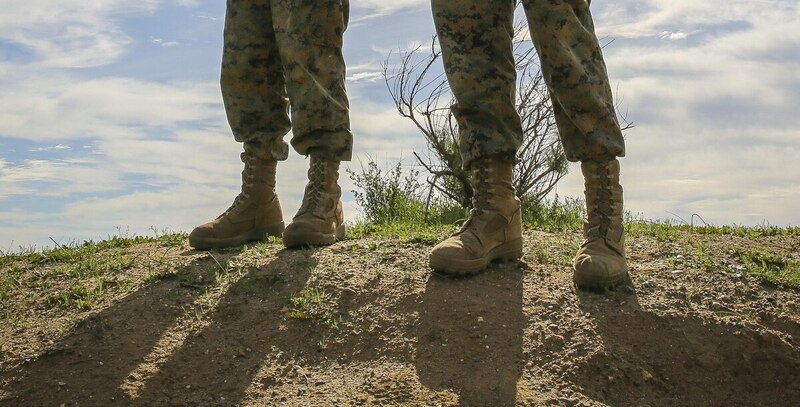 Four brands, each with a temperate and hot-weather variant, were identified last week March 2 by Marine Corps Systems Command in Marine administrative message 117/16, along with the approved list of Danner Rugged All-Terrain boots still acceptable. "The purpose ... of this Maradmin is to inform and clarify which boots are certified for optional wear," said Barb Hamby, a SYSCOM spokeswoman at Marine Corps Base Quantico, Virginia. "It’s in line with the commandant wanting Marines to have options for affordable, high-quality boots." The clarification comes after following Commandant Gen. Robert Neller reversed course on the previous policy that mandated all Marines replace MCCBs for RAT boots. ’s reversal last November of decision last November to reverse the Corps' previous policy of mandatory RAT boots and phasing out MCCBs. The MCCBs, first fielded in 2002, can cost about a third of the RAT boots. The change to the RAT boots also cost Marines $31.07 from their annual clothing allowance due to a longer expected lifespan. The RAT boot became standard issue for officer candidates and recruits at depots and Officer Candidates School in 2015 after the service decided to phase out the MCCB. New Marines will continue to receive RAT boots through the end of fiscal 2016, after which recruits and officer candidates will begin getting the MCCB again.